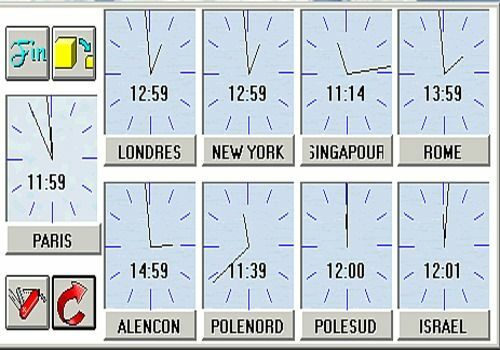 A small program that will allow you to have up to 10 clocks set on the screen in the countries of your choice. Adjustable on a horizontal, vertical or normal mini window strip. Everything can be moved with a simple mouse click. Clock with arrows and a clock dial, transparent. A practical and elegant desk clock that overlaps with other windows.